Middle Grades Teacher Candidates pictured l-r: Maggie Jones, Hallie Blizzard, Devynn Dunn, and Aaron Sikes. 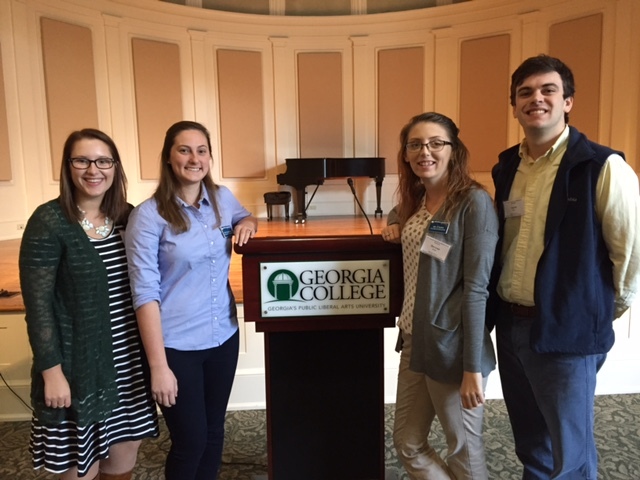 Teacher candidates and faculty from Georgia Southern University attended the Middle Level Summit at Georgia College in Milledgeville on November 11. Middle grade teacher candidates Hallie Blizzard, Devynn Dunn, Maggie Jones, and Aaron Sikes joined students and faculty from other institutions including Augusta University, Lee University, Valdosta State University, and the University of Georgia. Dan Bauer, Ph.D., professor and chair of the Department of Writing and Linguistics, and Amanda Wall, Ph.D., assistant professor in the Department of Teaching and Learning, also represented Georgia Southern at the summit. “I enjoyed the opportunity to mingle with so many people who are within the middle level education field,” said teacher candidate Hallie Blizzard. Mark Springer was the keynote speaker of the summit. Springer is the author of Soundings, a book that describes his experience with democratic curriculum at his middle school in Pennsylvania. The theme for the summit was “Ready! Set! Grow!,” and breakout sessions focused on topics such as middle level curriculum, homework, and edTPA. Dunn explained that her favorite session during the summit, entitled “Math Mindsets,” provided her with insight on changing students’ attitudes in the subject area of mathematics. “It was a session about how to create activities and assessments that can help students understand math concepts more clearly and how to help the students that think differently than others,” explained Dunn. Guest speakers for the summit included Dru Tomlin, Ph.D., Director of Middle Level Services for the Association for Middle Level Education (AMLE), and long-time, venerated leading voice of middle level education, John Lounsbury, Ph.D. This Summit was sponsored by Georgia College’s chapter of the Collegiate Middle Level Association, a national organization for middle grades teacher candidates that is an affiliate of AMLE. 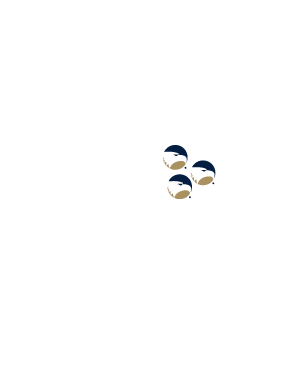 The College of Education’s Amanda Wall, Ph.D., is the sponsor for Georgia Southern’s CMLA chapter.